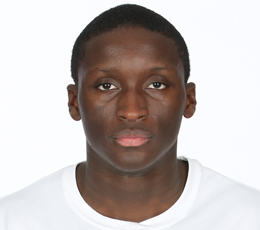 Oladipo has been projected as a lottery pick because of his athleticism, competitive drive and ability to impact games on both ends of the floor. If his 3-point stroke continues to become a consistent weapon, he’ll be a tough cover because of his ability to get to the rim. And he has the potential to be a lockdown defender. Unheralded from a national perspective before the season began, Oladipo took his game to another level and became a first-team All-American, the NABC Co-Defensive Player of the Year, the Big Ten Defensive Player of the Year and first-team All-Big Ten. He was a big reason the Hoosiers advanced to their second straight NCAA Tournament Sweet 16 appearance for the first time since 1994 and their first Big Ten regular-season championship since 1993. Oladipo set Indiana single-season record for steals (78). At 6-5, Oladipo led the Big Ten in field-goal percentage, making 182 of 304 shots including a solid .441 (30 of 68) from 3-point range.